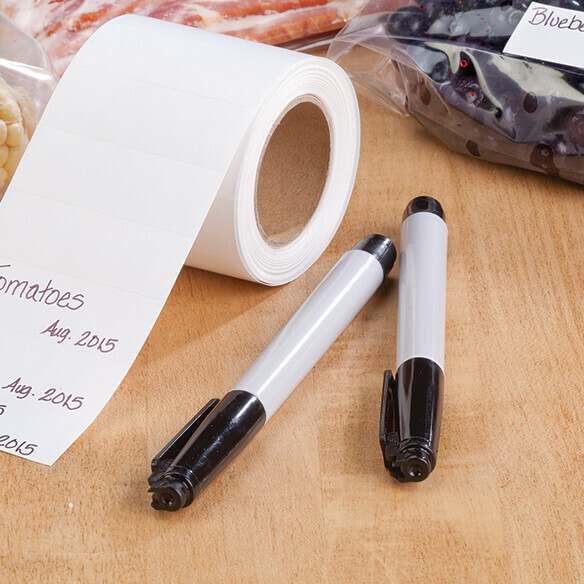 Fine-tip freezer markers are ideal for permanently labeling and dating foods. 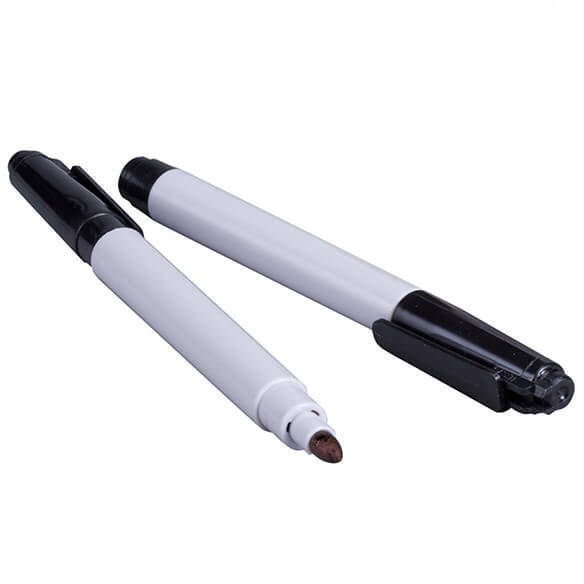 Smudge-free, moisture-resistant ink is ideal for use on freezer paper, foil, plastic and glass. Tight-fitting caps keep freezer markers from drying out. Set of 2; each 5 1/4" long. USEFUL TO USE INSTEAD OF A REGULAR PEN SINCE THIS WAS MADE SPECIFICALLY FOR THE LABELS.